CRM (Customer Relationship Management) is a software which stores and manages all the records related to old and current customers at a centralized location within the company and can be accessed anywhere from the company’s offices. CRM Software helps in streamlining the Sales, Marketing, Customer Service and Support divisions of the companies. As all divisions of the companies share the customer’s data hence it leads to enhanced customer satisfaction. CRM software effectively manages the whole of customer’s record and analyse the customers likes and dislikes and habits and predict some of his or her behaviour. CRM Software helps in increases the value of each customer. CRM software helps in retaining the old customers. CRM software helps in improving the customer satisfaction. Apple Infoway's superior technological skills deliver unrivalled performance and ease of use in its CRM Consultancy. Designed from a customer´s perspective, implemented by skilled and experienced professionals, our CRM solutions let you handle virtually all aspects of sales, customer services and marketing through a unified, simple to use secure interface. Apple Infoway specializes in development of CRM for small business as well as for big business. If you are a SMB (Small to Medium Size Business) and you dream big then start using our CRM that will definitely streamline resources in your company and you can grow fast and can enter the prestigious club of Fortune 500. Customer satisfaction is important to retention and repeat business and with our solutions (small business CRM) you can keep in constant touch, anticipate their requirements, handle all their issues and respond with speed. Data acquisition, analytics and reporting form the core, helping you gain valuable insights and tailor your services and products accordingly. Customized to each client´s specific operating conditions and markets, our CRM is inherently scalable, flexible and highly secure, with a ton of technological features powering it and helping you save time, money and at the same time, improve operational efficiency. Call us to know more about our unique and adaptive CRM development services at the most affordable rates. CMS is a system used to manage the Website content. It is a Web application that manages the content and fast delivery. Through CMS users can manage their own content. Content Management System is the collection of procedure to manage our work flow. It may be computer based or manual work. Data will be varied like documents, pictures, movies, phone numbers and etc…. Appleinfoway is one of the best CRM software development company in chennai, offers you flexible Web Content Management System. Our CMS have been designed in order to enable the user to edit, create, update and manage the content without changing the design and structure. Many dimensions & levels are provided in order to maintain changes in the CMS without any trouble. 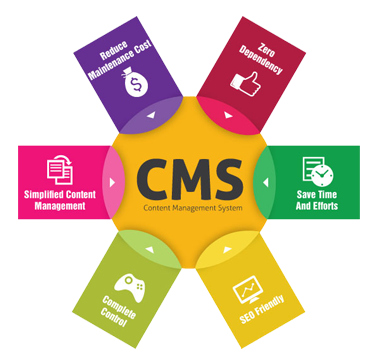 Content Management Systems are used to manage costs and user friendly. Web group Content Management System. CMS Website is a database driven. Search engine friendly pages created.